We love each and every one of our kittens and want them to live healthy, happy, safe and long lives. 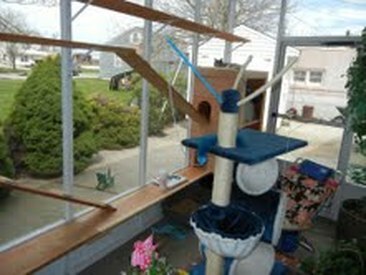 Having an outdoor kitten/cat greatly diminishes their life expectancy as well as the quality of their life. All it takes is for them to come in contact with 1 sick stray cat. I am asked all the time; "Can't I take my new kitty outside for walks on a Harness?" The answer is no per our contract except for these three exceptions. 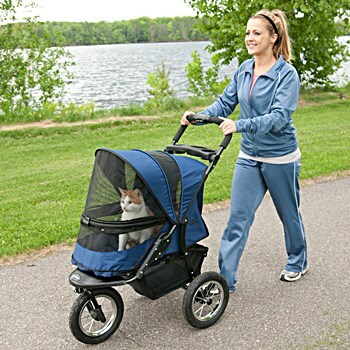 A high quality, heavy steel framed, protected, Pet Stroller for the use of strolling your kitten/cat in order to provide outdoor fresh air, entertainment, and brain stimulation. The kitten or cat can not be left unattended in the Pet Stroller. 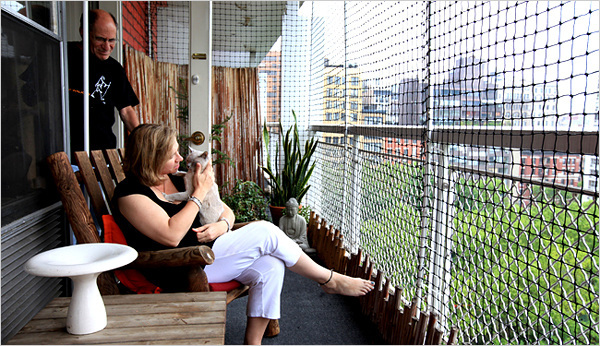 If living in an upstairs Apartment your kitten/cat may sit out on the balcony as long as the balcony is enclosed and protected from other cats making contact with your kitten/cat. 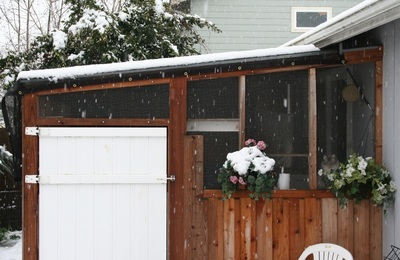 A enclosed screened catio. With plastic skirting along the outside base of the enclosure to keep stray cats from coming into contact with your cat and infecting it with unknown diseases. Once a cat has gone outside even one time then the curiosity factor goes sky high. They will sneak out past your legs at their first opportunity.